I had read our positive review of the 2015 Xbox One version of the game. I’d seen colleagues say it was one of the best things on that console. But I really had no idea how good Rise of the Tomb Raider was until I finally played it the PS4 version last month. I had assumed Uncharted 4 had eaten its lunch. Nope. This game’s great and still very impressive. First of all, Rise of the Tomb Raider is gorgeous. Here’s a shot of Lara Croft approaching the game’s first tomb, which is an old ship frozen in ice. The game plays really well, presenting players with a quasi-open world adventure set mostly in and below a remote, snowy section of Russia. It presents the expected mix of third-person combat and tomb-raiding, but with a heavy emphasis on exploration. The exploration stuff involves lots of climbing and jumping, some swimming in caves, some swinging from ropes, and lots and lots of keeping your eyes peeled for hidden stuff. As you play, Croft learns a ton of new moves, all of which control very well. You can sneak and shoot, climb walls and craft grenades. Here’s a great one: you can shoot arrows into walls and climb them! Rise of the Tomb Raider is as much about Lara Croft using her trigger finger and climbing muscles as it is about her using her brain, to the extent that there’s even a system involving her becoming fluent in Russian and Greek. This is a game with a language system in which discovering and translating artifacts increases Croft’s ability to find more hidden stuff on the map. This is also a game with a dash of Metroid-like design that encourage you to poke around, memorize obstacles, gain new abilities and then go back and get through those obstacles. This, for some of us, is among gaming’s highest pleasures. Sure, you can spend a lot of time in combat against Russian soldiers and members of a deluded artifact-hunting secret society, but you can spend more hours looking for secrets. I spent more than 24 on my play clock. It’s an educational game, at least for her. The game is friendly and is designed to avoid wasting your time. Is that something you look for in a game? You should. After all, there’s not just a huge map to explore, but 45 fast-travel locations (marked as tents here), making Rise of the Tomb Raider pretty much Player Convenience: The Game. Hell, not only can you craft fire arrows and healing herbs without even opening up menus (just hold the right buttons down when the right stuff is equipped), but the game is so player-friendly that they let you earn an upgrade that lets you ride UP ziplines extra-fast! Since the game was released for Xbox One a year ago, Rise’s developers at Crystal Dynamics have been doling out downloadable content. It’s all bundled into the PS4 version (and is available for PC and Xbox One, of course). The Baba Yaga expansion added last spring seamlessly weaves in as yet another quest chain that initially pops up in one of Rise of the Tomb Raider’s main zones but then brings you to a new area made just for the expansion. It flows really well. Warning: the new area can be pretty creepy. There’s also an interesting survival mode and, more recently, a combat-free expansion that adds a narrative-heavy Gone Home-style of adventure to the mix. Then there’s this weird Cold Darkness expansion that turns Tomb Raider into an odd, scored game of seemingly randomly-generated puzzles. This bit is not as highly recommended! Showing a remarkable attention to detail, Rise of The Tomb Raider’s developers made sure that the the enemy grunts you encounter after you finish the game’s main story and go back to explore more of its open world have new lines of dialogue. In fact, they talk about how this one woman wrecked all of the enemies in the game–well, all of the enemies except for them. 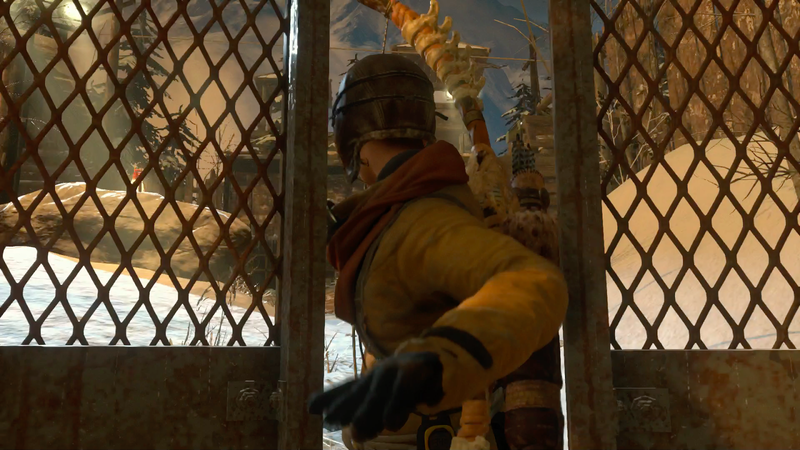 Rise of the Tomb Raider is the latest evidence that sometimes it’s good to wait a year. Let the developers patch things. Let them add DLC. If you haven’t played this game, now’s a good time.. It is excellent.